Finding out you are pregnant as a teenager is a very stressful thing. Not only are you dealing with your own challenges of growing up, but suddenly you find yourself responsible for another life, for the rest of yours. In recent years, growing rates of teen pregnancies have led to a reduction in stigma and an increase in support and resources for teen moms during pregnancy and while raising the child. However, it is important to be wary of grand promises of false support that are sure to leave you even more isolated and frightened than you already are. In today’s post, we will discuss some of the supportive benefits that are offered to teen moms and how they tend to play out. Family support, for teen moms who are lucky enough to have supportive families, is wonderful! There really is nothing better than having help, after all, it takes a village to raise a child, regardless of the age of the birth mother. However, offers of familial support should not be an assumed surrogate parent. While supportive family members may help guide you as a new mother and may even offer to babysit from time to time, in most families, it is still expected that the birth mother is the primary parent. That means you will be responsible most of the time with some help from others. As the child gets older or the hour of the day gets later, family support tends to dwindle. Strong family bonds are important, but your family will likely not raise the baby for you. 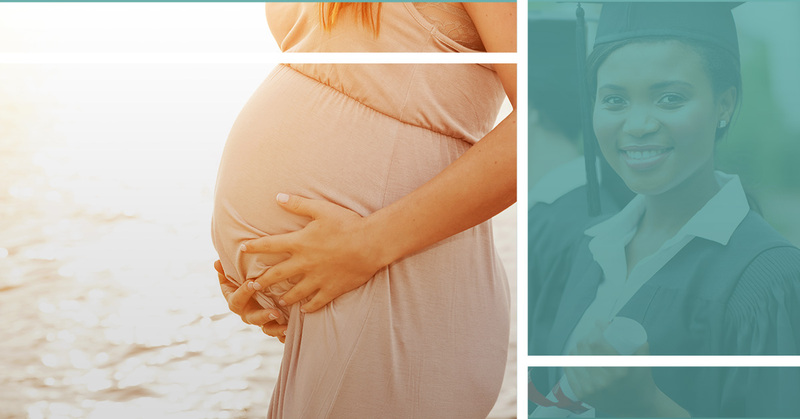 Many alternative schools across the nation have begun offering either daycare services or graduation assistance to pregnant teen moms. These strides are great in offering young mothers educational opportunities they did not previously have. However, it is important to look into the details of these programs. Commonly a GED is offered instead of a high school diploma. And, a GED is better than nothing and is equivalent to a diploma, it does not afford a young mother the opportunity to further her education. Many of these programs have rigid guidelines and schedules that make it very difficult for new mothers to complete. Yes, it is true, there are government assistance programs to help you with medical expenses, food for both you and your baby, and a place to live. However, these programs restrict funding to the bare necessities required to live. This does not mean that life will be comfortable or that you will live somewhere conducive to raising a child. Financial assistance programs are self-limiting and set teen moms up for a lifetime of financial struggle and living paycheck to paycheck. Additionally, someone else determines your need based on charts and algorithms that are strictly numbers and not by you as a person. Life on financial assistance means that you will live below the poverty line. While it is noble that society has become more understanding of the needs of teen moms, the well-intentioned support that is offered almost always falls short. The high expectations their claims offer often leave teen moms alone and desperate. This essentially robs two young people of a fair childhood. At AIM Adoptions, we offer realistic options to teen moms without all the false promises. When you choose to place your baby for adoption through our Texas adoption agency, we can assure you that both you and your baby will be fully taken care of and that you will both have the opportunity to live full, happy lives. Don’t face your teen pregnancy alone, contact us at AIM Adoptions today.